One of the biggest struggles as a teacher is communication. Not that we are bad at it, it’s just that we have so little time. 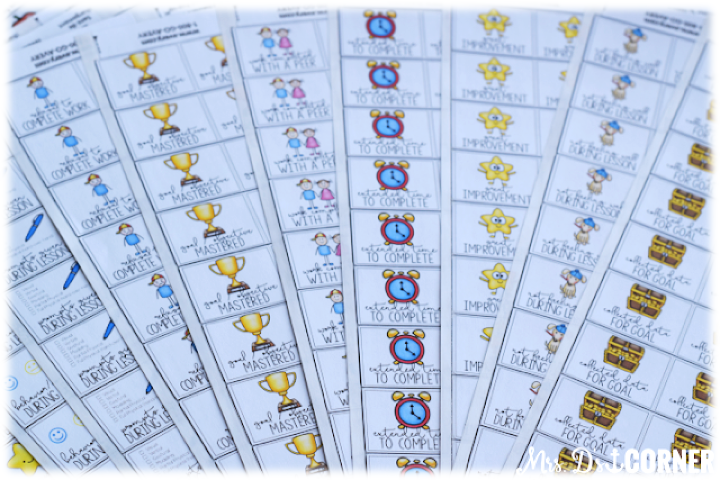 A simple task that takes a mere minute per student adds up when you have a class of 12… or 30. Those are precious transition minutes that my students need direction. And it’s not just about lack of time. Let me be honest… I teach a self-contained class of students with special needs… and we don’t always have time to get to science lessons (outside of ELA or Math instruction). I know, I know! Thankfully all of my students are slated to go out of our class for at least 45 minutes a day to attend a science inclusion class. It’s great! The kids get to interact with their same-aged peers and they’re getting to do experiments and learn all of that science-y stuff. But sometimes there’s a downfall… and it’s not necessarily a bad thing, it’s just a miscommunication. 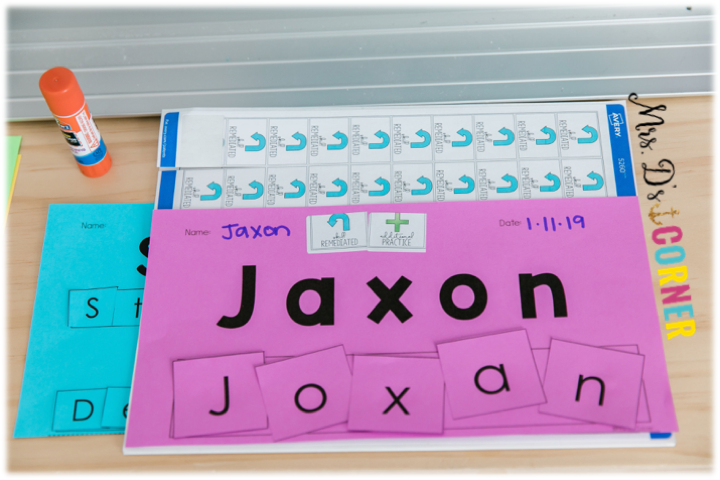 Jaxon completes an assignment in class above his independent ability level in inclusion. 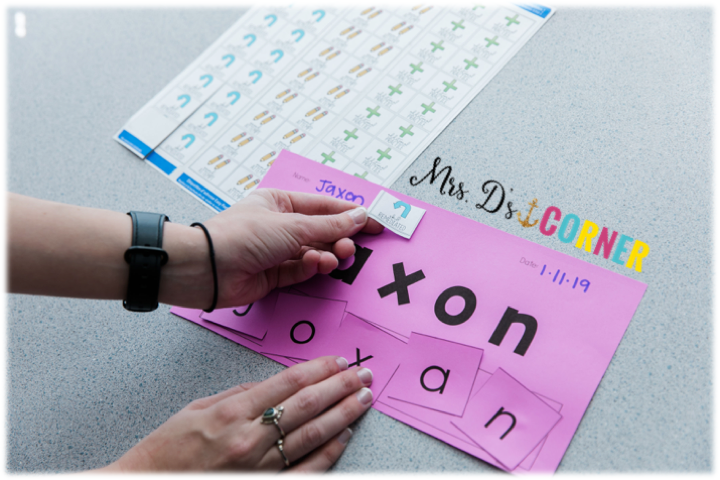 The assignment gets sent home and at the next IEP meeting, the parents are questioning why you are making an IEP goal for identifying capital letters and punctuation in a sentence when Jaxon can write full sentences on his own (based on his inclusion work). Where was the disconnect? Surely the parents know which work is completed in which class and that he receives multiple accommodations and modifications to complete an assignment, right? But sometimes they don’t. And it’s no one’s fault. It happens. Have you ever had that happen to you? Or have you ever sent something home above your student’s ability level that they worked on 1:1 in inclusion and wondered if the parents knew how accommodated and modified the assignment was for their child to complete the work?! Same child. Same work. 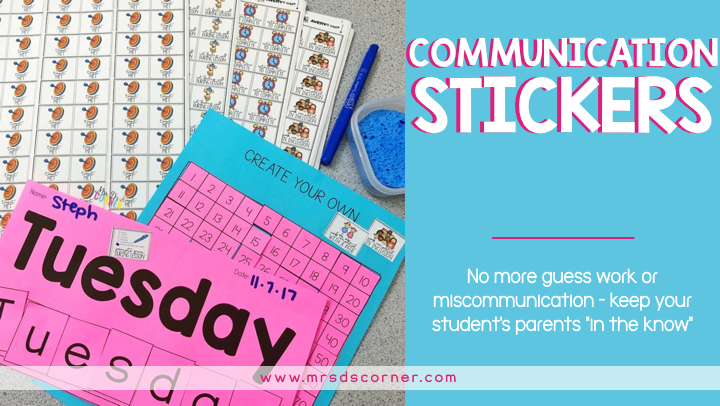 Except this time, you used a communication sticker to let the parent know the child completed the work hand over hand with someone. Instant communication between all parties and the trust is there. There’s no more guessing, from you or the parents. Now you are all on the same page, which is such a wonderful thing! See that sticker? 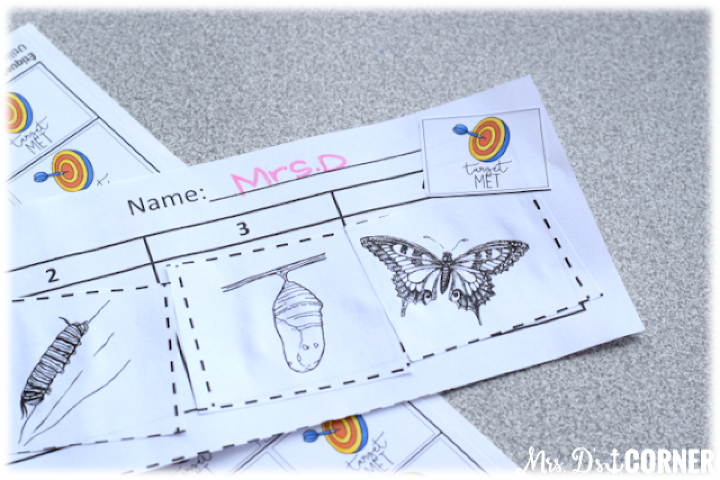 It’s small and un-intrusive to the integrity of the student’s work… but it clearly labels the work that was completed in inclusion. There are other stickers too! You can let the parents know exactly what they need to know, without writing a note, sending an email, or calling home. 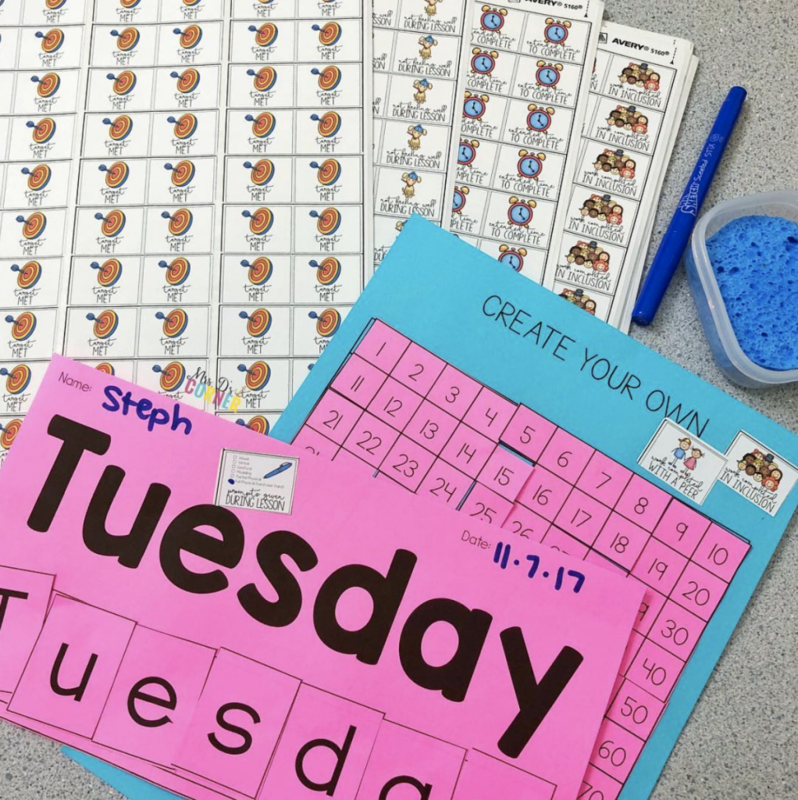 As students finish an assignment, you can take a few seconds to add one or two stickers (I personally prefer not to use more than 3 on one assignment), and then put them in a bin to sort later for work samples or put in student mailboxes to go home. There’s no having to go back later to remember who helped or did Jaxon do this himself or was he prompted? How was he prompted? You’ve already done it, and it’s ready to go home. There are currently 47 different stickers included in both color and black and white, with new ones added frequently. 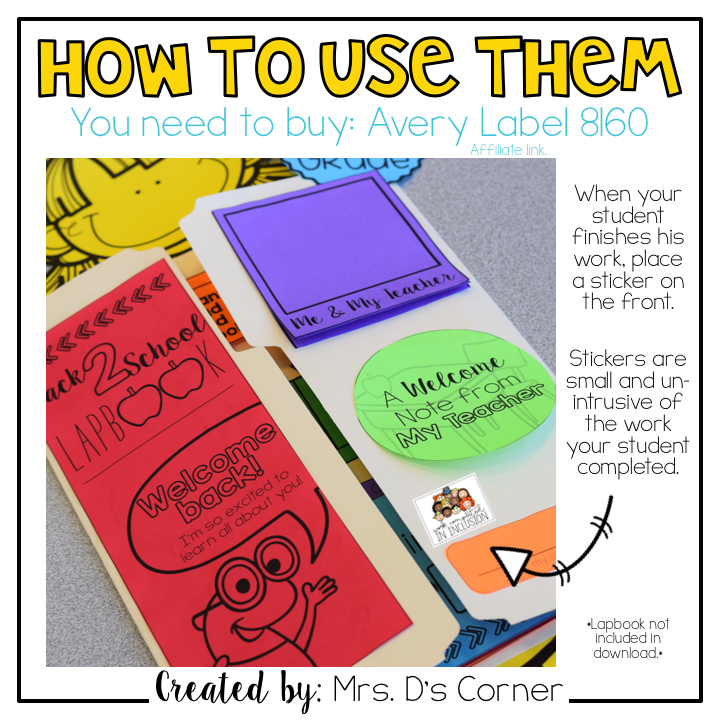 All you need is Avery Label 8160. Print, cut on the line included to double the amount of stickers you get per sheet (so instead of 30, you get 60 stickers per sheet! ), and now you’re ready to communicate with parents! These are all of the stickers you get… and now science inclusion – or any inclusion setting your student travels to – is set and ready to go! I’m pretty excited to have these all printed up and ready to use the remainder of this year, and then really get communicating next year. I just know it’s going to be super effective and the parents will appreciate knowing more about their child’s school day. Share your success story using the Communication Stickers in the comments below!